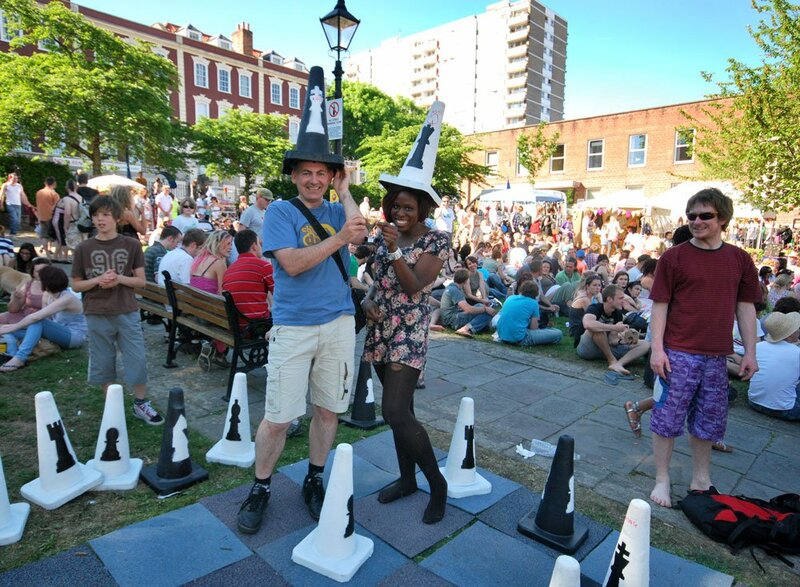 Street Chess using road traffic cones was an idea that developed in Stokes Croft as a response to the perceived negativity of public space in the area. The use of cones was born of necessity. The abundance of traffic cones found on the streets gave us the idea of creating a chess set from what was already in the streets, for use in the streets. A full set of 32 x 500mm traffic cone chess pieces, painted and stencilled ready for action. To include 4 spare cones 2x black and 2x white stenciled. A stencil square for painting of chess board. Stencil the cones and you then have a fully functioning chess set.